No major changes are expected for this popular four-door family sedan from Japan. Freshened for 2015, a full update is not expected until 2018. The ’15 model did not alter the general shape of the car but brought a fresh exterior and interior design, improved ride quality, and the latest safety and infotainment technologies. New color options and features moving to a lower trim levels are the only differences that Toyota may consider for ’16. Should you wait for a 2016? There is no reason to wait if you are shopping for a car now. All the big alterations came in 2015 and the typical price hike will come with a new year. And if you want the latest styling, the 2018 redesign will make your ’16 outdated. With that said, Camry’s design has never been its strong suit, and it’s should remain one the most reliable and practical four-door midsize sedan, so any model year is a smart buy. Should I buy a 2015 model? Already an extremely popular car, ’15 brings substantial improvements that will remain fresh for a couple of years. Toyota touts the changing or reengineering of over 2000 parts. With these modification, the Japanese automaker hopes to improve handling, cabin noise, and more. And like every vehicle that received updates, the dashboard layout is rethought. Nothing will be different with the look. 2015’s update brings a new grille and bumper along with new body lines. The structure has been redesigned to improve safety and handling. On the inside, the main differences is the rearrangement of the center console and multi-media touch screen. And a sporty trim with more features, the XSE, is available now. Expect the same two basic engine choices. 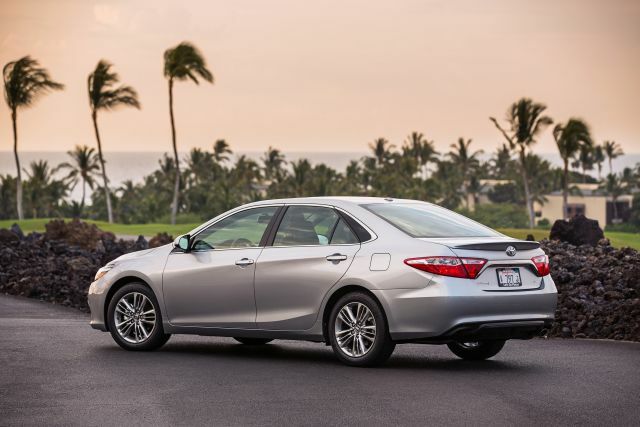 Every Camry should be front-wheel drive with a six-speed automatic transmission. The 2.5-liter four-cylinder engine is typically the standard power plant. It produces 178 horsepower. Also available should be a 3.5-liter V6 engine that delivers 268 horsepower. The Hybrid sedan is expected to again utilize a 2.5-liter Miller Cycle internal combustion engine coupled with an electric motor and a continuously variable transmission (CVT). It is rated at 200 horsepower. No change is expected in the fuel economy ratings. They are estimated at 25/35/28 mpg (city/highway/combined) for the 2.5-liter car and 21/31/25 for cars equipped with a 3.5-liter V6. The LE Hybrid manages 43/39/41, while the XLE only posts 40/38/39 primarily because of larger and heavier tires. Standard equipment for the base L trim level will typically include a 6.1-inch LCD monitor, Bluetooth communication connectivity, air conditioning, split folding rear seat, tilting and telescoping steering column, and a six-speaker audio system with a CD player and iPod interface. LE trim could net power door locks with remote keyless entry, automatic headlamps, steering wheel mounted audio controls, and a dash mounted ambient temperature display. The popular SE trim level should add a wheel upgrade, fog lamps, heated sideview mirrors, sport tuned suspension system, SE specific exterior and interior accents, front sport seats, and a leather wrapped steering wheel. Stepping up to XSE trim in four-cylinder equipped cars may provide an additional wheel upgrade, a sun roof, and a power adjustable driver’s seat. V6 equipped XSE trim level cars could include a wheel upgrade, power driver’s seat, keyless ignition/entry, a navigation system, HD satellite radio with voice operated controls, as well as Entune smartphone and internet interface. 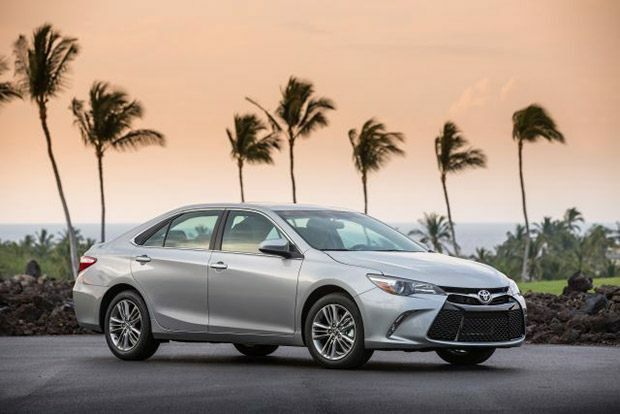 The XLE trim level typically reverts back to the much maligned Camry suspension system. It has been ridiculed for being mushy and the steering unresponsive. It should also add dual-zone climate control and heated sideview mirrors. XLE V6 models should also add leather seating, a rearview camera, a navigation system, auto-dimming rearview mirror, and heated front seats. Stand alone optional equipment normally includes a blind spot monitoring system, rear cross traffic alert system, and Safety Connect telematics system, all of which can be added to most trim levels. Pricing is speculated to be as follows: the starting price for the base L trim level is around $23,870, the LE $24,843, the popular SE trim $25,260, and the luxurious XLE $26,715. The newest trim level, known as the XSE should begin near $26,725. The three Hybrid trims are expected to be approximately $28,000 for the LE, $29,620 for the XLE, and near $29,805 for the XSE. All prices include $860 in destination charges. Look for the 2016 to remain at the forefront of the mid-size sedan class despite only minimal upgrades. Toyota’s continued dedication to diversity with regards to engine options makes it a class standout. With a redesign eminent by 2017, it will be interesting to see whether this trend will continue or if they will yield to the pressures of an environmentally focused industry.